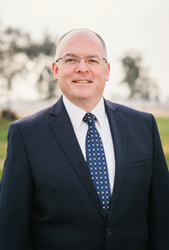 Jay Varney, the Police Chief of the City of Chowchilla and a candidate for Madera County Sheriff, has received the endorsement of the Madera Deputy Sheriffs Association. The endorsement follows a victory in the June primary, joining a number of other endorsements received from various community organizations and leaders. On the heels of an impressive victory in the June primary, Madera County Sheriff candidate Jay Varney is reaping the reward of a number of important endorsements from a variety of organizations. One of the organizations that have recently offered its endorsement of Varney is the Madera Deputy Sheriffs Association, an organization representing the current law enforcement serving Madera County. Varney, 53, has an extensive law enforcement background that has undoubtedly aided his push for election as the Madera County Sheriff. Before becoming the Police Chief of the City of Chowchilla in 2004, Varney served in the police departments of Dallas, Texas and Lansing, Michigan. Throughout his career in law enforcement, which has spanned over 30 years, Varney has held a number of leadership positions that have helped him tremendously. He has a reputation as a leader who is results-oriented and values cooperative endeavors when it comes to determining solutions to any issues that may arise. While Varney has a great deal of law enforcement experience from which he can draw, he also has an impressive educational background. He holds a Bachelor’s degree from Michigan State University and a Master’s degree in Criminology from Fresno State University. Varney is also a graduate of the FBI National Academy in Quantico, Virginia, an invitation-only program from which he netted a graduate certificate in Criminal Justice Education from the University of Virginia. The endorsement from the Madera Deputy Sheriffs Organization is not the only support Varney has received in his campaign, as he has also received the endorsement of the Madera mayor, Robert Poythress. The widespread support of Varney among community leaders and organizations is reflective of the faith in Varney’s abilities to lead, something that he has demonstrated clearly during his time as the Police Chief of the City of Chowchilla.